I have written about Pinterest a few times and it continues to be a firm favorite when planning an event. You can read my post here. I use Pinterest for everything from planning a bespoke baby shower to using it for inspiration for a team away day. Event planners are also starting to see the benefits of using Pinterest to promote their event both pre and post event. I sometimes liken Pinterest to LinkedIn in the sense that your boards (like your contacts in LinkedIn) remain yours for life and if you ever change your job, your work goes with you! 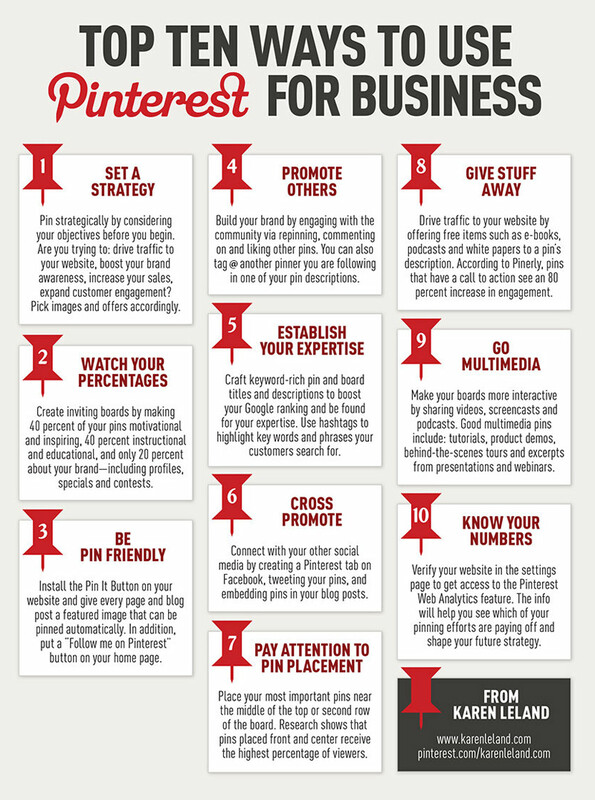 The below Infographic from Karen Leland shows just how you can use Pinterest for your small business and as an Event Manager, there are some great tips!